The bill requires institutions to maintain “a marketplace of ideas where the free exchange of ideas is not suppressed” and explicitly prohibits the use of restrictive free speech zones. Ten percent of colleges and universities surveyed by FIRE maintain a free speech zone, according to FIRE’s Spotlight on Speech Codes 2019 report. Free speech zones have repeatedly been struck down by courts or voluntarily revised by colleges as part of lawsuit settlements brought by students. Eight cases in FIRE’s Stand Up For Speech Litigation Project included successful challenges to free speech zone policies. 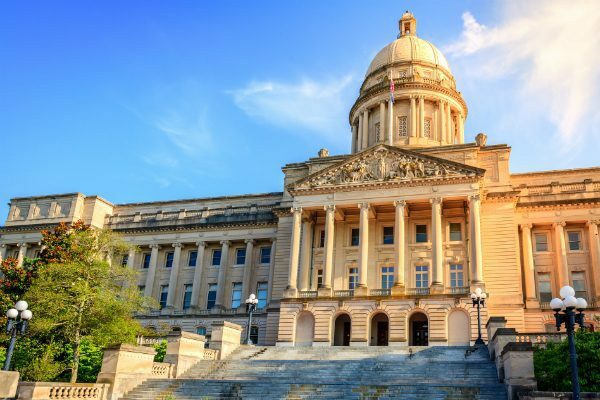 The University of Kentucky, Morehead State University, and Murray State University are among the institutions that will need to change or clarify their policies to comply with the law. Under the law, Kentucky’s public colleges and universities are prohibited from charging students security fees based on the expressive content of their campus events or the ideas of their invited guest speakers. The law also prevents institutions from “disinviting” speakers invited by a student, student organization, or faculty member. Importantly, the new legislation also provides a cause of action, which allows students to sue institutions in state court for violations of the act. HB 254 was introduced by Rep. Savannah Maddox. The bill’s counterpart in the Kentucky Senate was sponsored by Sen. Wil Schroder. The legislation received bipartisan support in each chamber. FIRE stands ready to assist colleges and universities in complying with the requirements of the new law.